Planning a party in the near future? 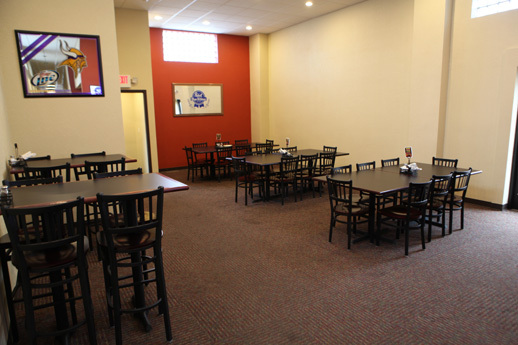 Check out our spacious private party room in Hutchinson. The Hutchinson party room seats up to 40 people. The party room has access and is located next to our outdoor seating. There are also restrooms located next to the party room. The party room is great for things like birthday parties, anniversary parties, retirement parties, fantasy drafts, business meetings, and much more. Guests can follow the action on the flat screen tv in the room without missing a moment.